When planning the relocation of offices or an entire company, efficiency is the keyword. Time is money. Machines must be up and running as quickly as possible to avoid lost productivity. Computers must be back on line immediately to avoid any risk to your continuity. 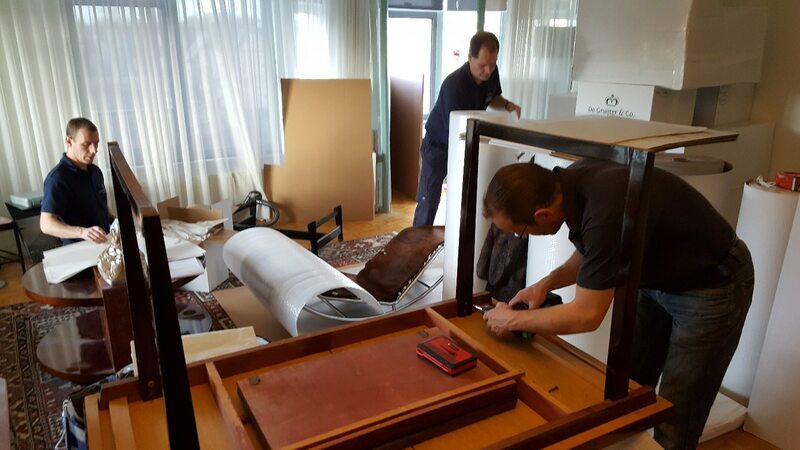 Royal De Gruijter & Co. has a team of staff who specialize in large-scale relocations. You will be able to rely on your own dedicated project manager who is responsible for every aspect of the process. Your exact requirements will be carefully recorded in the ‘Action Plan’, which sets out all the activities before, during and after the move itself. Everything will be managed with utmost precision. Packing valuable equipment and components is a job for experienced professionals who are thoroughly familiar with the commercial or office setting. If the new workplace has yet to be completed, your project manager will carefully monitor progress and report back to you.